This statement is issued to, once again, clarify the facts of the recent history and status of Nigeria’s Excess Crude Account and foreign reserves, an issue that is, in this election season, gaining more headline attention. Because of the importance of this key economic indicator, we believe it is important to restate the true position in the interest of the Nigerian public as well as local and international investors. First, it is absolutely not true that the Administration of President Goodluck Jonathan has squandered the nation’s reserves. The facts are clear and indisputable. 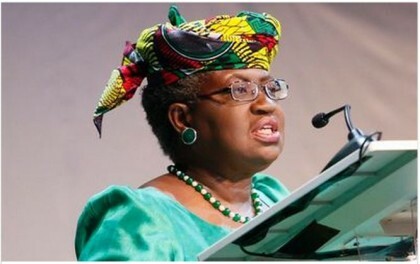 At the end of May 2007, Nigeria’s gross reserves stood at $43.13 billion – comprising the CBN’s external reserves of $31.5 billion, $9.43 billion in the Excess Crude Account, and $2.18 billion in Federal Government’s savings. These figures can be independently verified from the CBN’s records. The figure of $67 billion cited in some recent commentary is therefore factually incorrect. Second, it is a misconception to think that reserves are immutable or cast in stone. The reality is that since May 2007, the reserves have fluctuated in line with developments in the international oil market, rising from $43.13 billion at that time, peaking at $62 billion in September 2008 during the Yar’adua/Jonathan Administration when oil prices reached a peak of $147 per barrel, and falling subsequently to a low of $31.7 billion in September 2011. This fall in reserves was largely a result of the vicissitudes of the global economy and oil market which caused the CBN to intervene, using some of the reserves, to defend the value of the naira. Third, the Excess Crude savings, which it should be noted is a component of the reserves, was largely used to cushion the economy at the height of the global financial crisis in 2008-2009. As a result, Nigeria was one of the few countries in the world that did not seek assistance from international financial institutions at that time. The fiscal stimulus used to shore up the economy during that period was shared by all 3-tiers of government. Similarly, savings in the ECA were also used to pay for fuel subsidies for the entire nation and that sharing continued after the crisis ended. Starting in 2012, such payments have been published each time they are made. Fourth, It is true the savings in the ECA would now have been higher but for the fact that a number of Governors, against strong professional advice, actively kicked against continuous building up of the ECA and, indeed, pushed for its sharing. It is on record that States even took the Federal Government to court on this matter, and the case is still pending at the Supreme Court. Fifth, it is also worth noting that the Jonathan administration built the first ever Sovereign Wealth Fund for the nation in which savings are being made for future generations of Nigerians and important infrastructure investments are being supported. It is also a matter of public knowledge that the Fund would have generated more savings and investments if the same sort of opposition that blocked savings in the ECA had also not been at work. Furthermore, by common agreement between the FGN and State Governors, in 2009, an amount of about $5.5 billion was drawn from the ECA and used for investment in Independent power projects. Today, various State governments are shareholders in the projects and hold share certificates confirming their stake in the projects. On the use of reserves, it is not correct to say that the nation’s external reserves were dipped into or misapplied by the Administration. Anyone familiar with foreign reserves management will be aware that the Federal Government cannot dip its hands into the external reserves. Like in other countries, the management of external reserves is one of the statutory mandates of the Central Bank of Nigeria (CBN). Section 2 sub-section (c) of the CBN Act (2007) states that the Bank shall “maintain external reserves to safeguard the international value of the legal tender” – in other words, to defend the value of the Naira. No President since the democratic dispensation has contravened this Act. The reserves are also used to settle both public and private sector foreign currency obligations, including the importation of goods such as equipment for power sector. Whenever an Agency of Government or a private individual/company needs to make a payment in foreign currency (e.g. payment of goods and services, settlement of external debt, etc) it must provide the naira equivalent to the CBN in exchange for the required foreign currency. From the above, it is clear that Nigeria’s reserves during the period were not squandered but used appropriately in the course of normal transactions required for the development of the Nigerian economy. This woman is such a liar. How did you accrue a debt of over 50 billion and still kept spending the nation’s savings and reserves? Banks in Nigeria can’t lend to businesses. Because of federal government debt, and the insatiable monsters also went to the Chinese to borrow more. Igbos will ruin this country for us, they are just incapable of doing anything right. Liar! Thief!